Phoenix Periodontist Blog | Arizona Periodontal Group - Page 3 of 13 - This is the blog of Arizona Periodontal Group discussing periodontics and a healthy mouth! A mouth restoration with dental implants can be extremely costly, and sometimes insurance companies won’t adequately cover the procedure. If a full mouth of dental implants isn’t in your budget, try our less expensive “All on 4” dental implants in Phoenix. With only 4 surgically placed implants, you can restore or replace all of the natural teeth on the top or bottom jaw. As many as 35 million Americans are missing all of their teeth on their top or bottom jaws. 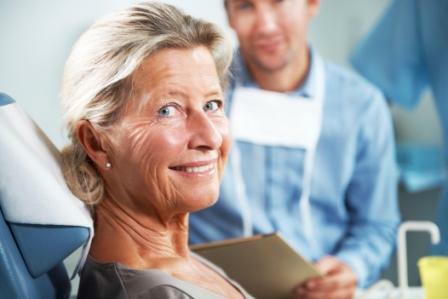 Many patients living with missing teeth elect to use uncomfortable and inconvenient dentures, but many find that dental implants are a more comfortable option. Instead of living with uncomfortable dentures, or non-functional teeth, try an “All on 4” dental implant surgery. Not only are dentures uncomfortable to wear, but many patients report issues talking and chewing. Instead of wearing dentures, a surgically placed dental implant will allow patients to talk and chew as they would with all-natural teeth! Additionally, dentures don’t prevent future bone loss in the teeth and jaw like dental implants do. 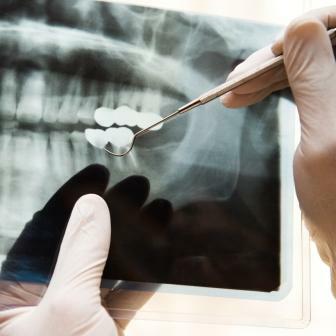 A dental implant procedure can help keep your jaw bone strong and healthy. Dental implants are small titanium rods that are surgically implanted into your jawline in the place of every tooth. By attaching them to the jawline, the dental implant is just as strong as a natural tooth would be. As soon as the implants are adhered to your jaw, a custom crown is attached to the implant to make your smile look completely natural. Eventually, the dental implants will completely fuse with the jawbone to provide patients with a naturally functioning smile. With the “All on 4” dental implant procedure, you don’t need an implant in place of every tooth, you just need 4! Seriously, four implants perfectly placed on your top (or bottom) jawline is all you need for a fully restored smile. Patients will see improved appearance and functionality in their teeth at less of an out-of-pocket expense. Don’t live with the pain and discomfort of missing teeth any longer! Visit Arizona Periodontal Group to see if the All on 4 dental implant procedure is the correct treatment option for you. Schedule an appointment today! Why Should I Go To A Specialist For Dental Implants? Dental implants have risen in popularity over the recent years. Not everyone is properly trained in how to correctly place a dental implant, which increases the risk of an implant failing. 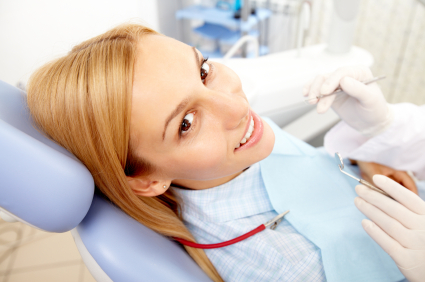 If you are considering dental implants, you need to carefully select the right person for the job. Phoenix dental implant services are designed to correctly place an implant to ensure comfortable, long-lasting dental implants. Periodontists are trained specialists in the field of dental implants. At Arizona Periodontal Group, Dr. Trujillo has the education, training, and expertise needed to place dental implants. When you seek out a specialist for your dental implants, it pays to hire someone with the right education and training. Periodontists attend additional schooling to learn how to effectively place implants and lower the risk of complications. Several studies show dental implants have a higher rate of succeeding when placed by a dental implant specialist compared to a general dentist. 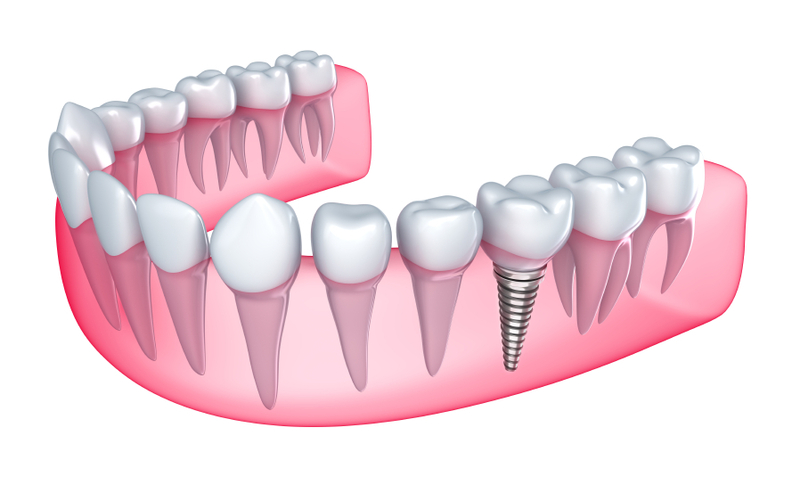 Dental implants are a complex procedure that does require precision when placing the implant. Dental implants placed by a general dentist have a higher risk of failure as they only have a few days of training compared to 5,000 hours of education that a dental implant specialist has in the industry. Everyone’s bodies react differently to surgical treatments, which can lead some patients to experience gum disease after dental implant surgery. A dental implant specialist will be able to limit gum disease risks by understanding how the bones and gums heal. Certain patients may have complications, requiring different materials to be used for successful dental implant placement. A professionally trained dental implant specialist will be able to catch these issues to ensure the implant will be able to be successful and offers cosmetic results. Gum disease is one of the leading causes of tooth loss. Working with a professional dental implant specialist will focus on healing the gums prior to implant treatment. If any sign of gum disease exists before implant treatment, the implant can fail, and the gum disease will continue to worsen. There is a condition known as peri-implantitis, gum disease that attacks the bones and gums, which causes the implant to fail 40% of the time. Do not leave your dental implant procedure in the hands of someone without the proper training, education, and precision it takes to create successful implants. If you need Phoenix dental implants, schedule an appointment with Arizona Periodontal Group today to schedule your consultation.